Special Olympics PA is proud to have the best supporters in the world, Law Enforcement! We invite all members of law enforcement to join in the Battle of the Badges during its 2019 Eastern Polar Plunge. This friendly competition is designed to increase camaraderie within public safety while raising awareness and funds for the amazing athletes who participate in Special Olympics. Last year, The Centurians Bucks County, comprised of members from the Philadelphia Police Department won the title. The Centurians Bucks County raised over $10,000 for Special Olympics Pennsylvania. Congrats and thank you! “Battle of the Badges” is a competition where all Law Enforcement, Fire Departments and EMS teams battle it out in a fundraising challenge like no other! 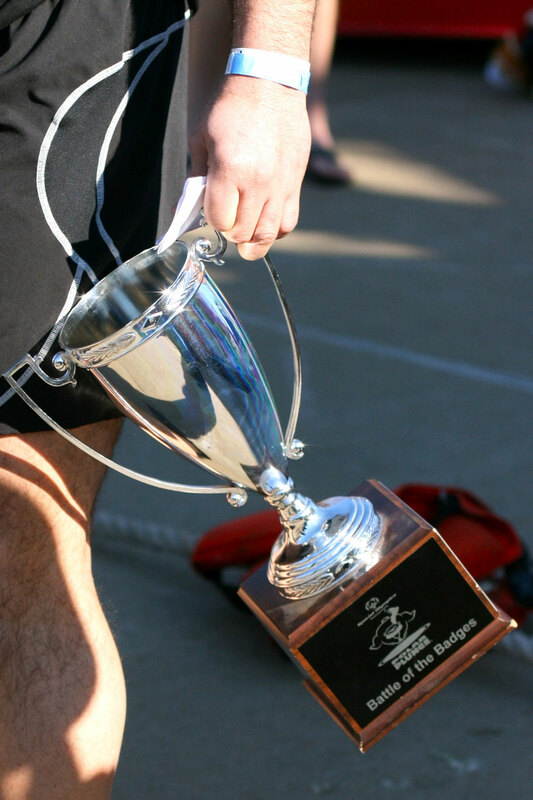 The ultimate goal….the sought after “Battle of the Badges” traveling trophy, bragging rights and the ultimate reward…assisting thousands of Special Olympics athletes to continue to participate in Special Olympics activities at no cost to them or their family. 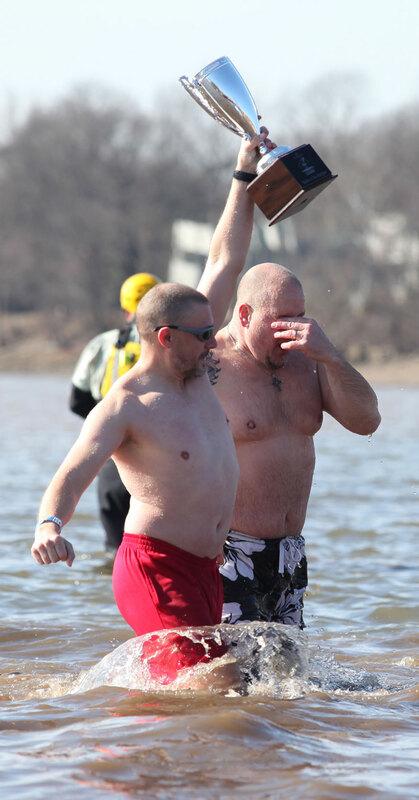 Each plunger is asked to raise a minimum of $50 to take a cool dip in the Delaware River or if you’re “Too Chicken to Plunge” you may still raise a minimum of $50 in donations, enjoy Plunge festivities and cheer your team members on to victory! Don’t be left out! Start your Public Safety team today and join us on Saturday, January 26th! Fire and EMS Departments are also encouraged to display their vehicles at the event.